Raised and killed in terrible conditions for food, fur, and other fashions. Hurt in cruel and unnecessary experiments. 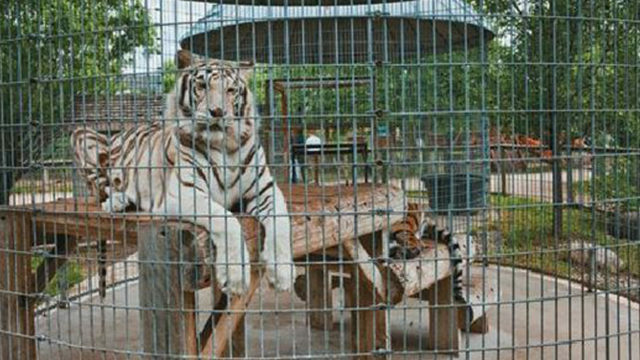 Confined in small cages and displayed at roadside zoos. Forced to perform in shows at circuses and theme parks. Unfortunately, the list goes on and on. But there are things each of us can do today to help animals right away! Animal protection laws are an important part of making the world a better place for animals. That’s what makes animal lawyers so influential in solving these problems. But even if you’re not an animal lawyer, you can support the work we do by speaking up for animals and taking action. Here are some great project ideas for students who want to get active for animals in their community. Teach your friends about the amazing world of animals! For a school project, write a report about an animal that shows their unique qualities. For example, did you know that pigs are really smart? Pigs can solve simple puzzles and have amazing long-term memories. Chimpanzees recognize themselves in the mirror, and elephants use tools. You’ll be amazed at what you find when you start researching! Color pictures about helping animals. When you’re done, have your parents take a picture of it and send it to aldf@aldf.org so we can share it online! Say no to circuses and marine amusement parks like SeaWorld. There are other fun ways to meet animals up close. Ask your parents to find out if there’s a sanctuary near you. 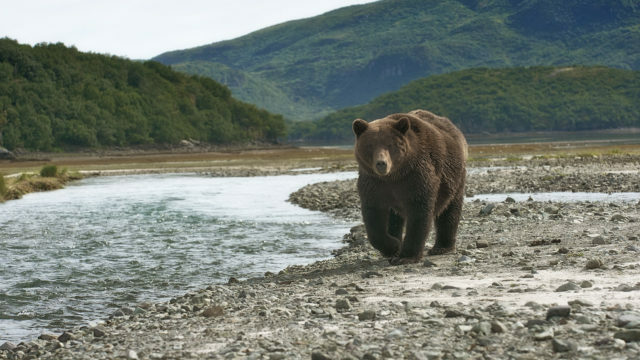 Sanctuaries are places where animals are protected and can live the rest of their lives in peace. Oftentimes, sanctuaries help animals who have been abused. Read books about animals and some of their struggles. Start a letter-writing campaign with your classmates, family, and friends.What will you write about? Here are some great sample topics: how to report animal cruelty in your community,animal testing and the law, animals in entertainment. 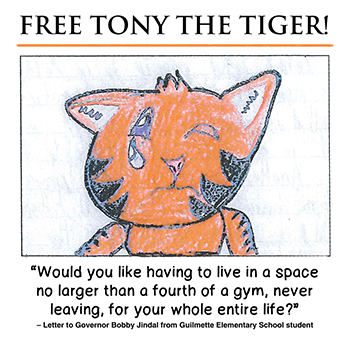 For example, Ms. Buck’s fourth-grade class at Guilmette Elementary School wrote letters to Louisiana governor Bobby Jindal, asking him to free Tony, a Siberian-Bengal tiger who was held captive at a truck stop. How awesome is that? Share your views on animal issues with legislators. Subscribe to our email list and you’ll receive Action Alerts telling you when to contact your legislators and ask them to oppose or support bills related to animals. Interview a city council member, an animal shelter or rescue employee, an animal lawyer, or advocate about their job. Check out WorldAnimalNet’s animal protection agency database for organizations near you. Headed to college next year? Check out universities that support animal-friendly lifestyles. Spread the message! Check out the Animal Legal Defense Fund’s resource for writing letters to local newspapers. Get involved at the local level to help animals. Many animal shelters require volunteers under the age of 18 to be accompanied by a parent, but you can also help out by holding a drive for commonly needed supplies (like towels, sheets, and dog food). These are great ways to speak out in your community about animal protection issues! And your voices will be heard! Want to know more about how to become an animal lawyer? Check out the Animal Legal Defense Fund’s guide and learn how! Have more questions about animal law? Check out the Animal Legal Defense Fund’s series 30 Second Animal Law. Please visit ALDF.org/resources for more information on animals and the law.